MUSICIAN and songwriter Peter Brown is an inspiration to his peers and young musicians alike. Having grown up in England, listening to Bob Dylan, the Beatles and Rolling Stones, he learnt to play the guitar from books and friends. Today, at the age of 72, he still gigs in and around Kuala Lumpur and when he and his wife Markiza are in London (usually once a year), they carry their guitar and keyboard on the Tube and go for gigs as well. 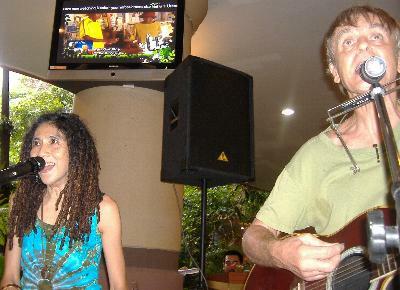 The couple play their own songs as well as some covers of popular songs. In KL, the local indie music scene is familiar with the sight of the two senior citizens in a room full of young faces. They are greeted warmly and treated with respect by the youngsters. Born in Colchester, Essex, Peter lost his dad in World War II when he was just a year old. He was raised by his housewife mother and printer stepfather and attended a school in Surrey. “In those days, rock ‘n’ roll was just rather for uneducated high school girls. We rather looked down on that sort of music and we were more interested in folk music. This was in the late 50s and early 60s, when I was a teenager. 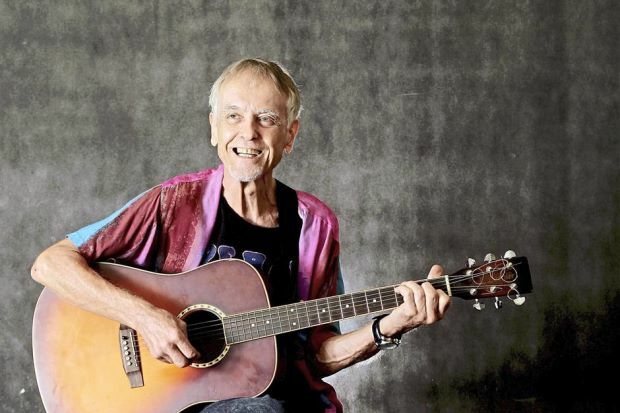 “I started playing the guitar and got interested in songwriting in the late 1950s because of folk musicians like Pete Seeger and others who wrote their own songs. Then, I started getting interested in jazz and music in general, although I was not very keen on classical music. “And then Dylan became popular in the early 1960s and we felt this was the sort of music that we wanted to be involved in, not pop music, although I liked some pop music,” says Peter. He was also interested in blues artistes like Lead Belly, Sonny Terry and Brownie McGhee, Blind Willie Johnson and Robert Johnson. Buddy Holly was also a big influence when it came to songwriting. All these albums were self-produced or produced under Peter’s song publishing and record label – Lemang Music, with the exception of Passion’s Open Secret, which was released by Valentine Sound Productions. “Music has always been a hobby for me. I’ve never done it professionally. After we moved to Malaysia from Britain in 1984 with our two small children, we did quite a few semi-professional gigs. From 1987-1998, we played six times a week sometimes at nightspots or in hotel bars. That earned some money. That was when we made the two Passion albums,” says Peter, who has worked as an editor, teacher and even had some blue-collar jobs. From his 20s till today, Peter has been gigging. When he started, there wasn’t really anywhere for singer-songwriters to play in England. “Either you played folk music, in which case you played songs like Streets of London, or you had to be very good on the guitar. If you were a very clever guitarist or if you were a comedian and could make everybody laugh, then you had the audience’s attention. “You had to be very, very good on the guitar and I was never confident of my skill. I was very shy getting up in front of an audience. I used to have to get quite drunk before I could get up to do a gig. It was quite difficult for me. And it’s always been like that. “In Malaysia, I stopped drinking and yet Markiza and I manage to do gigs. It has been a tremendous support to have her playing the keyboards because she’s a professionally-trained musician,” says Peter. “Sometimes I can’t play so well. We’ve had some very difficult gigs, problems with sound mixing and quality,” he says. He and Markiza are nonetheless respected within the local indie scene because they were one of the first few to organise gigs at nightspots about 15 years ago. “It’s quite embarrassing sometimes. They think I did a whole lot of things for the indie scene. I don’t think I did very much. We did this Acoustic Jam (series of acoustic shows in KL) but that was about it. Other people also started regular shows. I started Acoustic Jam because there was nowhere to play my own songs,” says Peter. Asked what keeps him going, Peter says, “I’ve always thought of myself as young. I’ve always been fairly fit and fairly presentable, and Markiza, too. So, we just carry on, but I wouldn’t say that we are successful at it. We’re not getting rung up and being asked to play many gigs, because as I said earlier, I’m not very good at live performances. “There are people who are quite a bit older than me and are still performing, like BB King, who was performing almost right up till he died at the age of 89. People carry on performing but it’s more acceptable if you were famous a long time ago. Then it’s easier to be accepted as a performer. “I think about these things myself and agonise about whether I should stop doing this or just do it quietly in my living room without any publicity. You don’t want to have a bad reputation or a reputation that’s undeserved. Then, I think, well, there’s nothing wrong with me doing this, so why shouldn’t I do it. If people don’t like it, they don’t have to take any notice of us. If they like it, they can come to our gigs. We appreciate it if they come to our gigs. Even though age and physical limitations have started creeping in, Peter and Markiza are now working on their next album – about the environment and human rights. For more on Peter Brown and to listen to his songs or buy his albums, go to Lemang Music (http://www.lemang.com).